Sponsorship. The Sweepstakes sponsor is The Money Manual (“Sponsor”), located at 45 Main St, Ste. 816, Brooklyn, NY 11201, Sponsor and its respective affiliates, subsidiaries, successors, assigns, agents, representatives, officers, directors, shareholders, and employees, and any entity involved in the development, production, implementation, administration, judging or fulfillment of the Sweepstakes, including without limitation, the immediate family members of such individuals, are not eligible to participate. Sponsor will conduct the Sweepstakes substantially as described in these Official Rules. Entry Period.This Sweepstakes begins on 5/23/2018 at 5:00 PM EST and ends on 5/30/2018 at 11:59 PM EST (“Entry Period”). How to Enter. During the Entry Period, visit the Sweepstakes registration page located on Sponsor’s Facebook page at http://facebook.com/themoneymanual-1206647616130093 and follow the instructions to electronically complete and submit the Sweepstakes entry. You will be asked to provide basic contact information, including your name and email address, or messenger account. To qualify to win you must follow The Money Manual Facebook page and Tag 2 friends in the original post (NOTE: You must complete all required fields of the entry form with information that is valid on the date of the drawing to be eligible). If entering the Sweepstakes via Facebook, you must be the owner of the email account associated with the Facebook account from which your entry is made. This Sweepstakes is in no way sponsored, endorsed or administered by, or associated with, Facebook. You understand you are providing your information to Sponsor and/or Administrator and not to Facebook. All entries become the property of Sponsor and none will be acknowledged or returned. Limitations on Entries. LIMIT ONE ENTRY PER PERSON PER FACEBOOK ACCOUNT. No third party entry or entry through any sweepstakes service is permitted. Any person who attempts or otherwise encourages the entry of multiple or false contact information under multiple identities or uses any device or artifice to enter or encourage multiple or false entries, as determined by Sponsor, will be disqualified. Use of robotic entry devices is strictly prohibited. Grand Prize. One (2) Grand Prize will be awarded, which consists of: (2) Google Home Smart Voice Control. Drawing. Winners will be selected in a random drawing from among all eligible entries collected during the Entry Period taking place on or about May 30, 2018 at Sponsor’s principal place of business. The drawing will be conducted by Sponsor, whose decisions and interpretations on all matters relating to the Sweepstakes and these Official Rules are final and binding in all respects. Sponsor reserves the right to disqualify any entrant or winner and may refuse to award a prize to a person who is not eligible or has violated a rule, gained unfair advantage in the Sweepstakes, or obtained winner status using fraudulent means. If there is a dispute about the identity of an entrant, prize will be awarded to the natural person to whom the Facebook account is assigned. If winner is found to be ineligible or not in compliance with Sweepstakes rules, winner will be disqualified and an alternate winner will be awarded the prize in a separate random drawing. Winner will be notified by email, telephone or Messenger. Inability of Sponsor to contact winner by telephone within seventy two (72) hours after selection, may result in disqualification of winner and an alternate winner may be selected in a random drawing at Sponsor’s discretion. Prize will be sent to winner by U.S. mail within fourteen (14) days after winner has been notified and accepted the prize. If prize is returned as undeliverable, then prize will be forfeited and another winner will be randomly drawn. Winner’s Name. The name of winners is available only within 5 days after the close of the Sweepstakes. 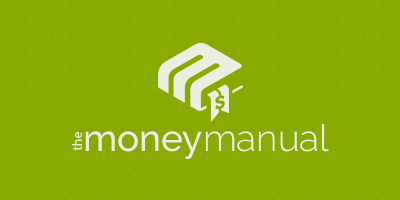 To receive the name of the winners, where permitted by law, or a printed copy of the Sweepstakes Official Rules, please contact Sponsor by email at contact@themoneymanual.com.